9 Boí, Cailleach Bhéarra. Rince na Caillí. und ich deine Zehchen biege. Biddy Jenkinson (a pseudonym) was born in 1949. Although she is one of the most inspiring Irish language poets of the present day her personal identity remains generally unknown. She writes poetry and her poems have been published in several anthologies such as Dàn na hUidhre (1991) and Roghà Dànta (1999). 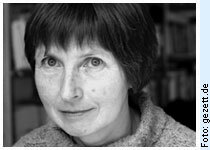 She writes short stories as well which were published in the collection An Grà Riabhach (1999). She has also published a play called Mise, Subhò agus Maccò. She seeks to recreate a sense of the sacral world of nature and women's role in sustaining it. She writes all of her work in Gaelic and prefers that they are not translated into English as a gesture signifying that everything in Irish cannot be “harvested and stored” without loss in English. She is, at present, editor of Egise Eireann / Poetry Ireland Review.